The electronic presskit EPK has been published to facilitate availability of information and promo materials: basic press description PDF + DOC and the promo graphics JPG. The Technical Rider contains all the necessary information for the production of audiovisual on-stage performance. 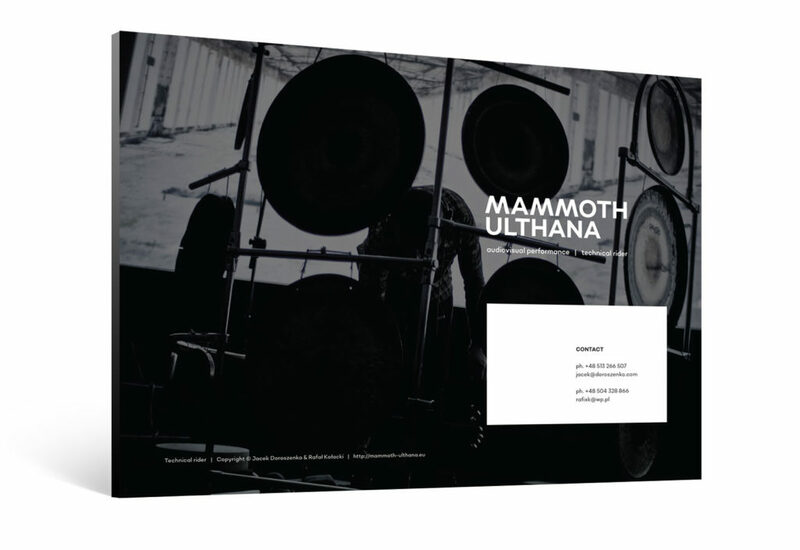 Download it if you’re an organizer of Mammoth Ulthana’s performance. You may also be interested in video preview for the composition entitled Nocturne, which is available for download below. This is full-lenght last track from the album Mammoth Ulthana which is given to download for free.